Whether you’re getting married, going to a smart wedding or off to Ascot, our comprehensive morning dress guide will ensure you are suitably attired for the occasion. Our morning dress guide starts with possibly the most straight forward choice within the ensemble – the coat. 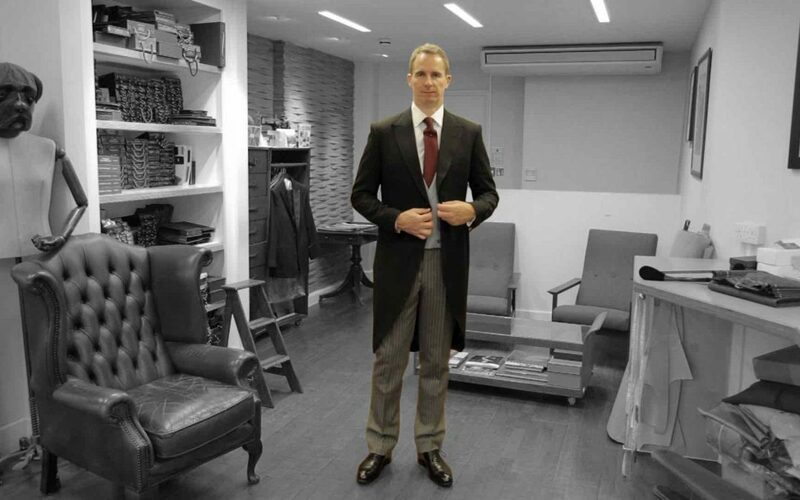 The morning dress coat is a fairly standard issue item, with little variation on design or colour – it’s almost always a charcoal black, though occasionally grey. The lining is usually in a matching colour. It has one button at the front and two at the back. 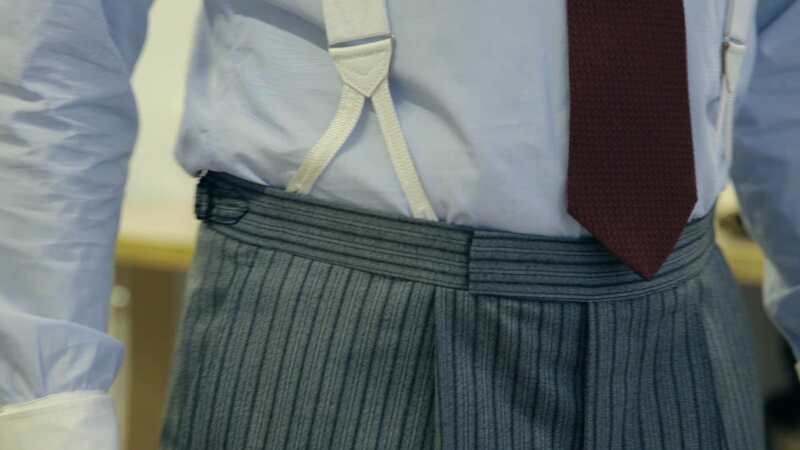 There’s a breast pocket for your handkerchief (optional) and the tails should fall to the back of the knees and no further. The waistcoat is the main opportunity to inject a little personal flare into what is a pretty standardised outfit. The Duke of Cambridge is often seen wearing a duck egg blue one for example, which is double breasted, with lapels and pockets. Prince Harry favours a mustard coloured waistcoat in a similar style. Whilst usually made from wool, linen is also an option and probably a wise one if you’re wearing it in the height of summer. Cream waistcoats are also seen and are certainly a little more interesting than the standard dove grey ones – though these can look very elegant, particularly if double breasted. The royals again tend to favour a double breasted waistcoat to a single breasted. There’s also an opportunity to personalise the back of the waistcoat with a contrasting colour. A cream silk backing for example, will contrast nicely with a blue shirt when the coat is removed. The coat, waistcoat and trousers are the key constituents of any morning dress guide but arguably the accessories you choose to go with them are just as important – taking the sartorial effect to a higher level (or a lower one if chosen unwisely). The traditional shirt for morning dress is called a Winchester and for those of my era, it’s best described as The Gordon Gecko shirt – blue with a white collar and cuffs. The always stylish Prince Michael of Kent sometimes wears a particularly traditional, striped blue and white version of this and The Duke of Cambridge (and sometimes Prince Harry) can be seen wearing a pale blue version. The most popular alternative to the Winchester is a plain white shirt though a pale blue is also sometimes seen. Bearing in mind you have contrasting colours for the waistcoat and possibly the shirt too, the choice of tie can be a little tricky. The tie is usually a solid colour – or at least patterned in a way to look like a solid colour from a distance. Purple or burgundy works well with a powder blue waistcoat and blue ties with a mustard one. Spencer Matthews of Made in Chelsea fame wore a winning orange tie and pocket handkerchief combination to his brother’s wedding. Morning dress offers a rare opportunity to deploy a traditional tie pin, giving the necktie a bit of swagger. A handkerchief is also a good optional extra. The Duke of Cambridge is usually spotted with a white one in place, as is the Duke of Edinburgh. The handkerchief doesn’t have to match the tie, but should complement it. Black oxfords, highly polished – not patent leather. That’s it, not much more to say there. You can however add some dash by choosing socks that match your tie – ideally knee length ones that won’t crinkle when you sit down. Actually not necessary for a wedding. Needed if you’re going racing though. How much does a morning suit cost? 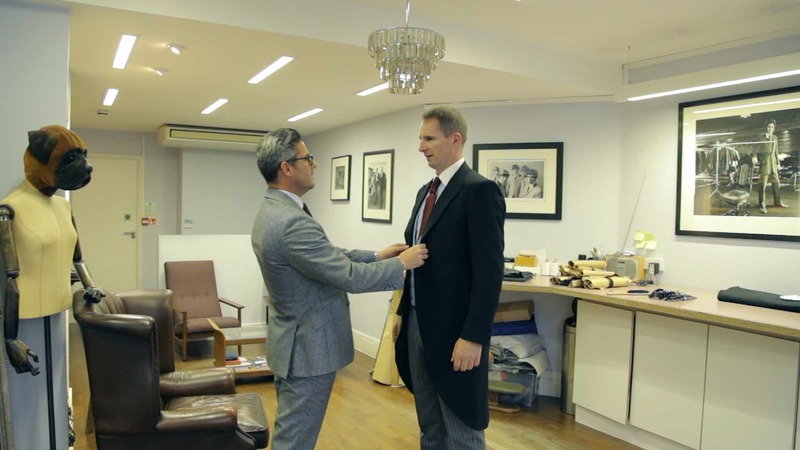 Tailcoats are a specialist item – even in bespoke tailoring terms. If you look inside the coat, roughly where the shoulder blades are, there’s particularly impressive stitching to create a quilted effect. The waistcoats too can take up a lot of tailoring time, depending on the style ordered. The net effect of this is that you should expect to pay more for morning dress than for a bespoke suit. The cost could range from £3000 to £10,000 depending on which tailor’s door you walk through (and on which street). 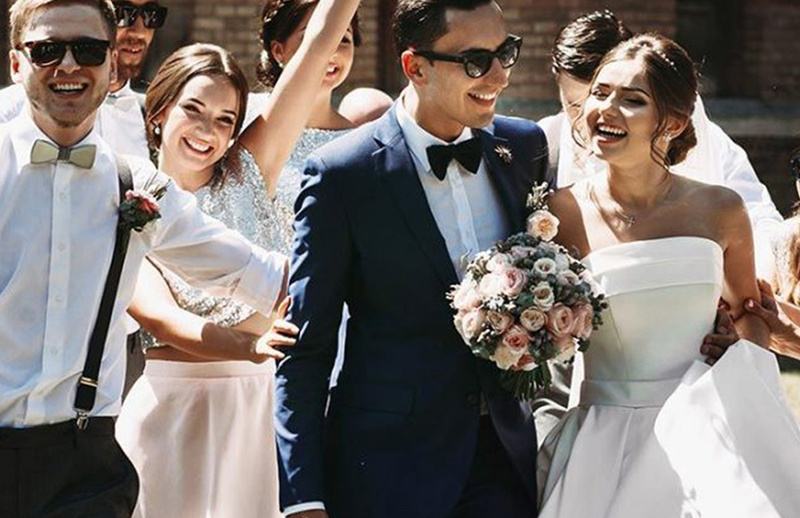 With three quarters of marriage proposals being made over the festive period (according to stag organisers Chilisauce.co.uk ) grooms usually have a bit of planning to do come January. 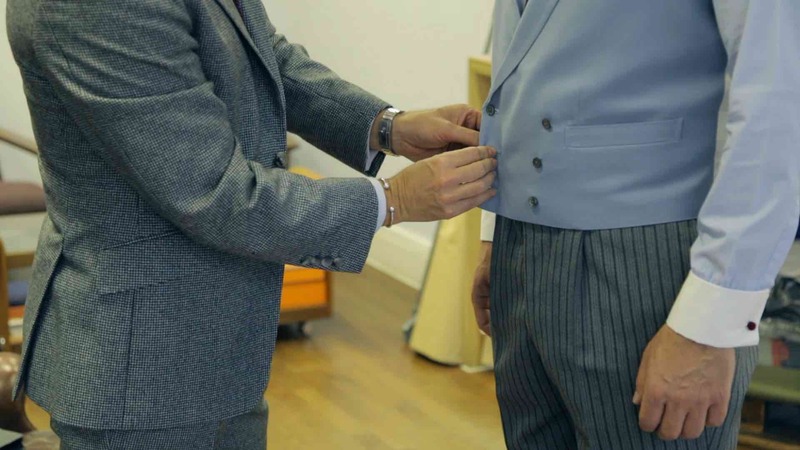 Deciding on a bespoke wedding suit should come close to the top of the planning list, not least because it’s the most important suit you’ll ever wear and it needs a bit of time to create. Although this is the easiest dress code with which to comply it’s necessary to sound a note of caution.